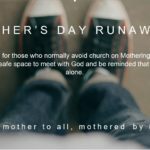 Mother’s Day Runaways – for information about the Mother’s Day Runaways services, including resources to run your own, click here. How to help a friend struggling with childlessness – our most shared page for a reason; simple advice from people who struggle with childlessness themselves that makes a big difference. What we wish we’d known – you didn’t plan for this life and it can be overwhelming, here are a few things we wish we knew when we entered this life unexpected. The tent – Saltwater & Honey is possible because of a lady who started ‘The Tent’, a safe group for women struggling with childlessness, this is her story of that group. Little liturgies – a collection of prayers, poems, words and responses to help express the bittersweet moments of childlessness.